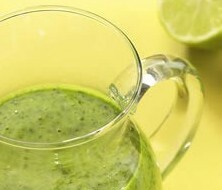 Cilantro lime dressing, great for salads, tacos or sandwiches! If it’s too thick, add a little water or more lime juice. Chill in the fridge for 20 minutes in an airtight container. ← Tortilla Chips with a Splash of lime and Soy!